The body is facing a crisis of performance, credibility, legitimacy, and relevance, Mr Akbaruddin said. 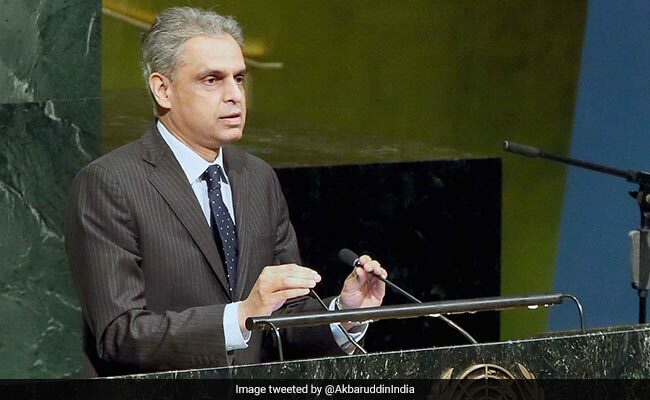 Syed Akbaruddin, India's Ambassador to the United Nations, on Friday called for a reform and reinvigoration of the UN Security Council, saying that if the Council is not reformed, renovated and includes multilateralism as a practice, world peace is likely to be replaced by a 'world order in pieces'. Targeting the working methods, Mr Akbaruddin noted that even as the Council has formed an entire range of the subordinate bodies, the functioning of this 'subterranean universe' of subordinate bodies has become Byzantine. He also suggested that in the place of only five members having a veto on informal meetings, all 15 members should be bestowed with a veto in the 'subterranean universe' of sanctions committees.